← For Iskandar Markets, think 5-10 years ahead! Target 2025…. ARC @ Austin at Pre-launch from RM390psf & RM255K only! Away from the madding crowd at the Johor Bahru city center, yet near enough to facilitate easy movement to the city, a mere 15 minutes away from JB Jalan Tebrau, Austin has carved a name for itself, as a much sought-after residential locale, especially among the younger crowd. After Kempas tol, if you are from Kuala Lumpur bound, exit to the left, Austin Heights/ Adda Heights. Fancy living next to a golf course? ARC @ Austin Hills is a JV development between Andaman Group and Majlis Bandaraya Johor Bahru (MBJB). Andaman Group has the distinction of achieving over RM3bil in Gross Property Development Value. Now Andaman Group is set to lead the pace in the affordable properties segment with its latest offering. ARC @ Austin Hills is situated adjoining to Austin Heights Golf & Country Resort and it’s a mere 15 minutes from the Johor Bahru CIQ. It is surrounded by established residential enclaves such as Taman Daya, Taman Mount Austin, Taman Johor Jaya and Taman Molek. Iskandar Malaysia has seen a dizzying increase in property prices for the past few years. This is a refreshing change where Andaman Group not only offers an affordable product for the locals but at below market value. While selling at below market value, ARC @ Austin Hills is offering luxury amenities such as an Olympic size resort swimming pool, garden playground, wellness garden and many more. The apartments has full glass glazing facade with multi-tiered security. Location, location, location. Properties near golf courses fetches a premium. 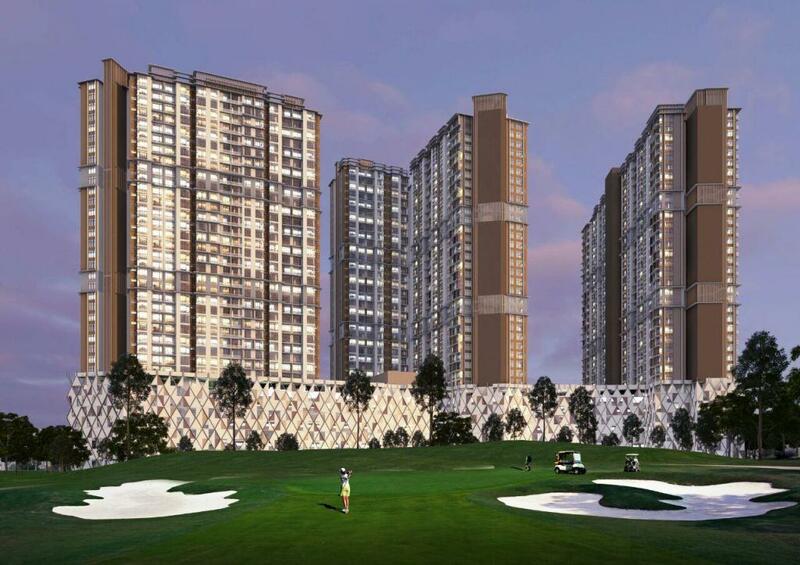 ARC @ Austin Hills is situated adjoining to Austin Heights Golf & Country Resort. It offers a spectacular view of the golf course. The selling price of apartments in the surrounding areas are priced at around RM600 psf. Andaman Group will be offering its private preview purchasers an opportunity to purchase below market price. But how low is low? RM550 psf… RM500 psf… RM450 psf? We are selling from RM 390 PSF! Sizes available are from 650 sq ft (2 bedrooms), 850 sq ft (3 bedrooms) and 900 sq ft (3 bedrooms). Booking fees of RM10,000 and the booking form and some pics are attached. Full Development Order & Building Plan approved as at March 2015. Please app/call +601128769911 or +601128772232 to book as our early birds for the best deal now! This entry was posted in New Properties for Sale and tagged Arc @ Austin Hills. Bookmark the permalink. 1 Response to ARC @ Austin at Pre-launch from RM390psf & RM255K only! This Condo is available to Malaysians as only in Medini, foreigners can buy below RM1 million and no other places. In Austin areas, min for Singaporeans is RM1 million.